One of my big resolutions this year was to find more time to read. I love reading, I always have but when you're working full time and planning a wedding and also trying to write your first novel there isn't always a lot of time for reading. Or should I say there isn't enough time for watching tv, exploring pinterest, catching up on other blogs and reading. But as I said in my previous post about my night time routine I have been trying to turn off screens by a certain time, not only has this helped me sleep but it has also given me an excuse to tuck up in bed with a good book. And so I find myself reading more than ever before and catching up on a few books I've been meaning to get into for a while. The Little Shop Of Happily Ever After is definitely going on my list of feel good books. The author Jenny Colgan is one of my absolute favourites and I am now nearly always bound to buy her latest release. This book however was given to me by a friend after she read the back and decided the book was clearly specially written just for me (I love finding those books) and I have to say I agree with her. The Little Shop Of Happily Ever After is about a quiet book worm called Nina who after losing her job at the library in Birmingham decides to buy a van and turn it into a travelling book shop and move to a tiny little village in the Scottish highlands. The book is a story of self discovery, creating the life that makes you happy and romance - everything I ever need in a book. 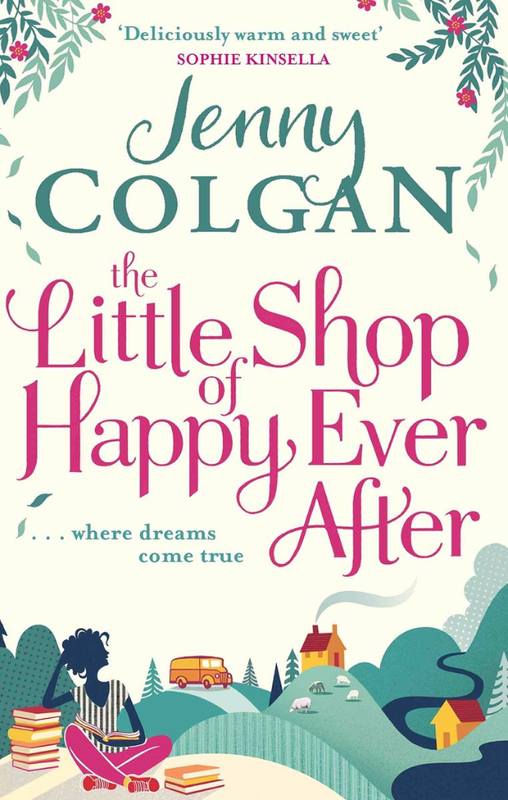 I am never disappointed with a Jenny Colgan book but this one was particularly special due to the fact it was written for and about book worms and about the changing power of books as well as being set in beautiful Scotland. It was both hilarious and heart wrenching and definitely caused me to think more about what it was I wanted in life. I like a book that makes me think and this one not only caused me to wonder about what I wanted from life but also encouraged me to go out and get it. The protagonist is so relatable, simply a girl who bucks up the courage to follow her dream and inspired me to do likewise. Colgans amazingly realistic portrayal of the Scottish countryside, community life and the stark contrast with the city life of Birmingham made it all the more relatable. Having lived in suburbs and cities all my life I could totally relate with that feeling of utter peace and calm the countryside of Scotland brings. I really really enjoyed this book and it just goes to show how well my best friend knows me, it really was a book written just for me.